One of my maxims for life is, to paraphrase Groucho Marx, never to join a club that would have me as a member. Thankfully, like La Rochefoucauld, I have more than one maxim for life and another is: 'Rules are made to be broken.' So I find myself, now, in the club. No, not that club *rolls eyes*. 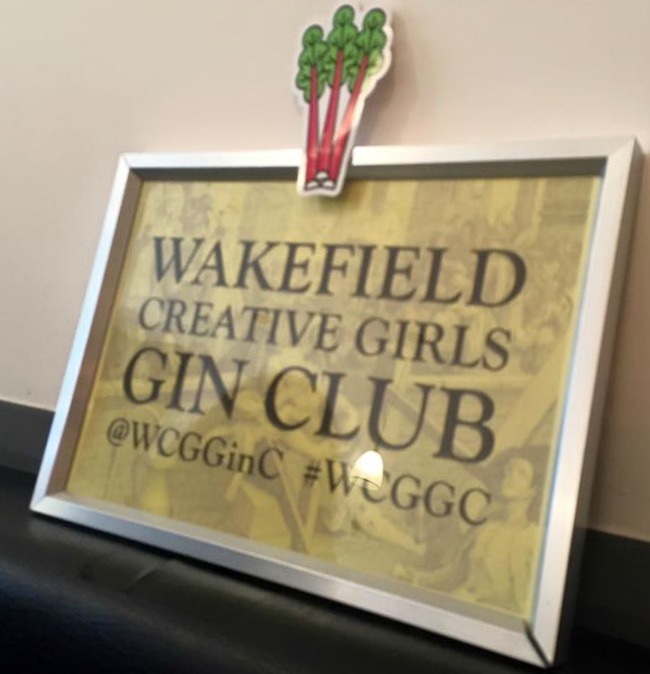 I'm in THE club: The Wakefield Creative Girls Gin Club. But what is this Wakefield Creative Girls Gin Club? you ask. Well. We're girls (of all ages including ones we won't admit to) from, living in, or working in Wakefield. All manner of gin. And we do it exceedingly well. Gleefully and with purpose. Our last gathering coincided with the city's annual, and rightly famous, Rhubarb Festival and so obviously we had to try some rhubarb gins, sourced by the Gin Club's venue, The Beer Exchange. On the shelf there was even a very palatable rhubarb and custard gin that was, frankly, a triumph. Particularly because it tasted nothing like rhubarb at all. Of course, we don't just quaff gin until we fall over. But in between the quaffing and enthusiastic appreciation of gin, we consider, for example, the benefits of art installations and musical entertainment in medical settings, the joy of quiffs, and the hirsuteness of artisanal pork scratchings. And then we fall over. You can follow the gintastic exploits of the Wakefield Creative Girls Gin Club on Twitter or search the hashtag #WCGGC on both Twitter and Instagram.